There is a lot to consider for students with disabilities who are transitioning from school to adult living. The ADRC of the Wolf River Region serves as a fundamental resource center in planning for the future as our staff provides information on an individual’s choices and rights in preparation for adult programs. We offer assistance and advocacy and will help you determine eligibility for long-term care options and sort through the many details of things like health care, benefits, finances and mental health services. Nonprofit public interest law firm dedicated to ensuring health care access for children with special needs. 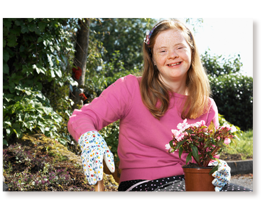 Provides information, supports and connection to services for adults with disabilities. Information and assistance to individuals who have a dispute with DVR. Resources, tools and technology for students with visual impairments. Transition Services office location in Green Bay, Wisconsin. Provides protection and advocacy for people with disabilities in Wisconsin. Information on public education for youth with disabilities. State employment training program for individuals with disabilities. Provides information about services and resources, funding and linkage with other families. Grass roots training, information and advocacy network of families with focus on policy and budget. A program which assists in providing information, professional support, referral and advocacy to Native American families of children with special needs. Provides information and connections on health and transition issues nationwide. It also includes provider preparation plus tools and resources needed to make more informed choices. Consumer driven services to promote full participation in society of persons with disabilities. Services include: health benefits counseling, assistive technology, peer support and advocacy. Nonprofit agency providing legal representation to low-income individuals. Information about eligibility, rights, covered benefits, providers, problems with bills, etc. for those with Medicaid. Local affiliate of NAMI (National Alliance on Mental Illness) with a mission to support and empower those affected by mental illness and the vision to live in a stigma-free community, and society, that supports and promotes mental health and recovery. Provides crucial information to persons affected by mental illness. Coordinates national resources, offers technical assistance and disseminates information related to secondary education and transition for youth with disabilities. Assists state and local workforce development systems to better serve all youth, including youth with disabilities and other vulnerable youth. Information and links to get your questions answered about your child’s special health care needs. Independent Living Center serves 17 counties in Northeast Wisconsin. Model home is a showcase of assistive technology, loan closet, resource assistance, advocacy for individuals of all disabilities and ages. Booklet Series: One in a series of booklets published by the Wisconsin Department of Public Instruction. Setting and achieving goals helps students grow. Knowing their strengths and addressing their weaknesses is important as students prepare for life after high school. As students move through school and toward adulthood, they go through a process of considering who they are and who they wish to become. Students can work with counselors, parents and teachers as they work with this resource. This booklet acts as a guide to adult services to assist youth and their families to navigate through this planning process. Created to provide input and direction to students as they set and work toward their employment goals. It offers career exploration strategies, job preparation advice and job search strategies. Leads the reader through a process of planning for life after high school that includes making decisions, planning and taking action. Helps the student to consider his or her strengths and weakness, plan a high school experience that will achieve specific goals, explore possibilities for work and a career and identify the next steps for life after high school. Provides one-to-one connection with another parent who has a similar experience and who knows firsthand about the feelings and realities that come with having a child with special needs. Helps promote, support and expand quality respite care resources across the lifespan for families. Financial benefits (Including SSI, SSDI) for youth meeting income asset eligibility criteria. A volunteer network of assistive technology (AT) consultants providing training within Wisconsin educational settings. The board was established to advocate on behalf of individuals with developmental/intellectual disabilities, foster welcoming and inclusive communities, and improve the disability service system. Resource for anyone involved with assisting adolescents with emotional or behavioral difficulties with their transition to adulthood. Providing services, advocating legislation and educating the general public. Helping students with disabilities and their families think about their life after high school and identify long-range goals. A network of Family Advocates who provide support groups, peer-mentoring, training, advocacy, information and referral for families that include children and youth with mental, emotional, behavioral or substance abuse disorders. 24-hour information and referral service to assist Wisconsin families who have children with special needs. Provides information and assistance on issues related to guardianship, protective placement, advance directives, and more. Parent liaisons that work with families, educators and school districts through the CESAs to promote positive partnership and free consultation to families of children with special educational needs. WSTI combined with Wisconsin Post High School Outcomes Survey (WPHSOS) to create a new discretionary grant: The Transition Improvement Grant (TIG). Unique website developed by youth, for youth. Wisconsin friends can keep in touch about school, work and leadership activities. Youthhood is a student-friendly site, which provides interesting and educational links regarding school, employment, health, independent living and other issues facing youth as they transition toward adulthood.